The Federal Government is attempting to speed up action over a fatal disease in Australia’s most critically endangered wild bird, the orange-bellied parrot. The Beak and Feather Disease virus is known to be present in common species, ­including sulphur-crested cockatoos and rainbow lorikeets. Threatened Species Commissioner Gregory Andrews said he wanted to boost the parrot’s captive population as part of an urgent response to an outbreak of beak and feather disease. “This bird is right on the edge of an extinction precipice in the wild,” Mr Andrews said. With such few numbers struggling against “developments” and environmental destruction, any disease could destroy their stronghold on existence. The threatened species breeds in Tasmania’s Southwest National Park and the birds migrate to Victoria and South Australia every winter. 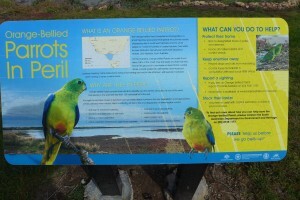 A captive breeding program for the orange-bellied parrot has been in place since 1986. It’s a real Aussie battler! Around 64 wild parrots flew out of their single Tasmanian breeding colony this autumn for Victorian coastal wintering grounds. 27 were captive bred and released to the wild. The young are listless and shedding feathers. With such small numbers, fewer than 70 in the wild, there’s no room for disease, neglect or complacency. Such small number don’t encourage genetic diversity, or robustness in the species. The UNESCO World Heritage Committee has urged the government to reconsider plans to allow logging and mining in the 1.5 million hectare area. Tasmania has some of the tallest forests in the world … big jagged mountains, tall eucalyptus forests, some very unique species like the orange bellied parrot,” Bob Brown Foundation spokeswoman Jenny Weber said. The food plants that they rely on—plants that—provide seed on an annual basis rely on high salt tolerance. Their odd adaptations have contributed to their current predicament because their large geographical range and specific habitat needs make them harder to legislate for. Coastal salt marsh generally has been looked upon as a wasteland, prime for development for things like petro-chemical plants, even housing, marinas, that sort of thing. The sort of habitat that they live in is so close to the coast that it is highly desirable for development. 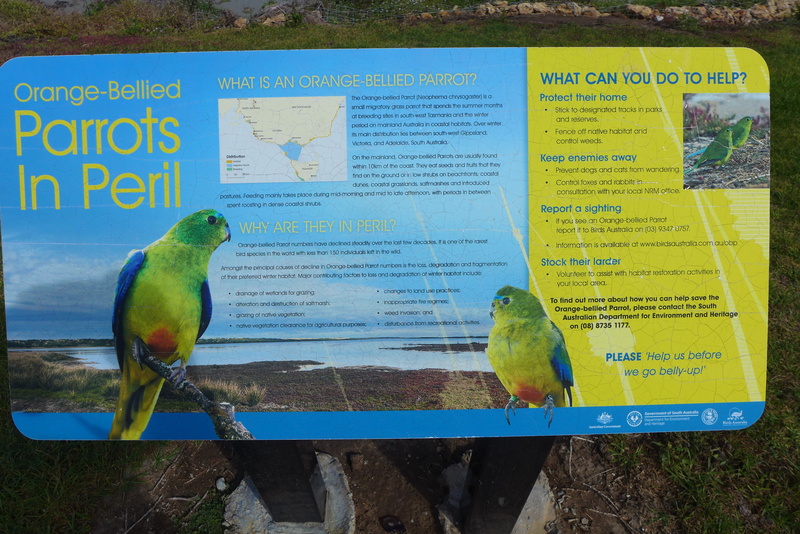 So, the greatest threat to Orange-bellied parrots is human encroachment and destruction of the specific habitats, what we call “developments”! Dr Stojanovic from the Australian National University’s Fenner School of Environment and Society said he felt for the many scientists who had invested so much of their time and emotion into saving the species. He says that there’s a tendency to say ‘it’s too hard, let’s put our resources where there is more bang for buck’, but I don’t think we can put our hands on our hearts and say we have put serious money into this. We haven’t done everything we can. There is a call for a boost in breeding parrots in captivity as a response to the outbreak responsible for their decline. Although we acknowledge that some extinctions are inevitable and part of the evolutionary process, we believe every creature has the right to a chance to survive, and not be eliminated by hostile economic activities and human encroachments. Australia, famous for mammal extinctions, is also ramping up our world record to include native bird extinctions. 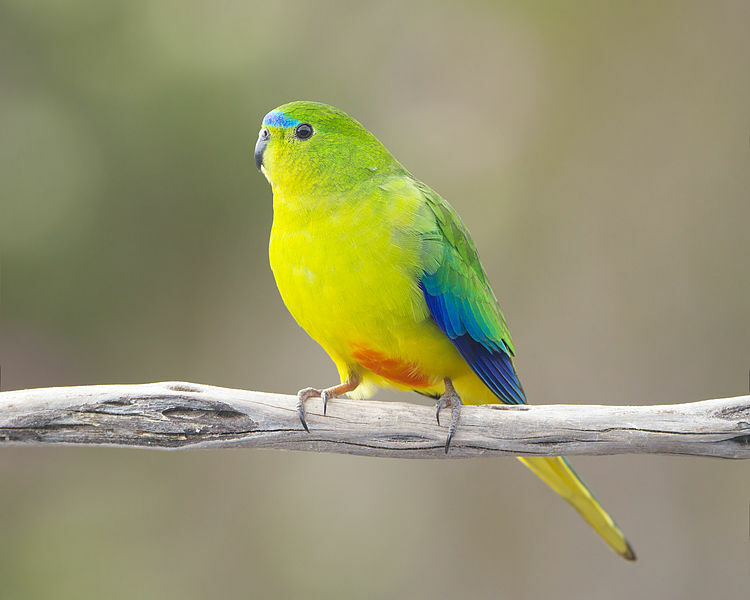 Petition: Provide more funding for the endangered Orange-bellied Parrots.